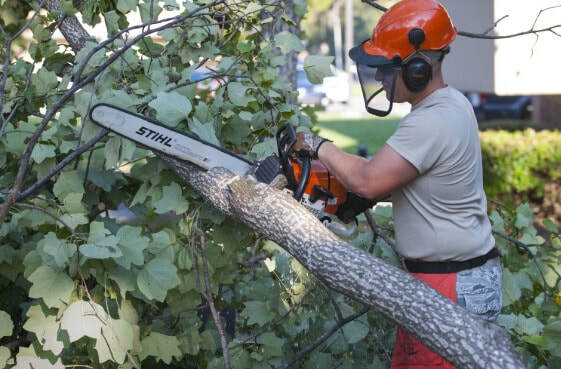 Chip Off The Block Tree Lopping Carina offers tree service such as tree lopping, tree removal, tree stump removal and stump grinding service at your convenience to produce the best possible solution that’s perfect for your landscape. Either you need tree lopping done, assessment of your tree for removal or not, or a stubborn stump removed. Chip Off The Block Tree Lopping Carina is your best company. The range of services we provide includes tree lopping, stump grinding, tree stump removal and tree removals. We can assure you we are not gunning only for profit. We have trained tree loppers that work with the need of your land. Dial 1800653256 to get tree services such as tree lopping, tree removal, stump grinding and tree stump removal done in Carina. Chip Off the Block Tree Removal Carina provides honest tree service from start to the end. Our experienced tree loppers will help you from the time you make an inquiry, through the consulting process as well as giving you accurate judgment on the health and conditions of your trees. ​Your greenery is subjected to high tropical winds during the winter and other seasonal changes that might happen at Carina. These strong tropical winds can leave broken branches hung around the tree, and they may become dangerous to our family, friends, neighbors, and neighbors if not well taken care of. At Chip Off The Block Tree Lopping Carina, we possess the best equipment as well as professionally trained certified tree loppers that can help you loop your trees to the best possible shape. Our Tree loppers will safely help you cut off dead branches, trunks and shoot to return your surrounding into a safe, secure and healthy haven it should be at Carina. Pick up your phone and dial 1800653256 to contact us. ​Removal Trees could be a daunting task or an emotional task if it's a tree we've attached to. Chip Off the Block Tree Removal Carina cares a lot about the safety of the wildlife that carves their habitat in the tree. Our experienced tree loppers ensure that wildlife habituating on your trees are well settled in another habitat similar to their former home in Carina height. You don't have to worry about them because we've got you covered. With years of experience in the industry, we're committed to safety, and we always ensure we follow the precautions and safety guidelines to ensure that we give you quality service without injuries or damage to your properties. For efficient tree removal services that are the top of our list our professional tree loppers at Chip Off The Block, Tree Removals are always available on 1800653256. Our tree removal cost is affordable and cheap compared to our pairs. Why Tree Stump Removal and Stump Grinding Needs To Be Done? ​Having an old tree stump in your landscape might get in the way of your gardening plans and may also affect the health of other green plants. Maggots, termite would try to decompose the stump if you don't take drastic measures about the stump. Stumps can also cause trips for little kids, and you don't want an injured kid in your house. At Chip Off The Block Tree Removals Carina, our certified professionals remove infested stumps, and we're committed to making sure your landscape is free from health hazard. We can guide you in determining the best treatment of stamps suitable for your garden. Our tree loppers are equipped with the best tree lopping facilities, and you can be sure your garden is in good hands. If your stump has been infested by with pest, you can trust we will advise you accordingly with quality, practical and affordable service. We will always be glad to receive your calls for tree service on 1800653256. Call or email us! Talk to our team of Tree Lopping Carina experts today! ​We are available 24/7 to serve you.